When protein builds up in the lens of the eyes, they get cloudy and light does not pass through clearly. This causes partial or total loss of vision and older lens cells to bunch up in the center with new cells being formed on top. There are different types of cataracts – age-related, congenital, secondary and traumatic cataracts. Some common symptoms of cataracts include blurry, foggy, cloudy or filmy vision, progressive nearsightedness, discolored lenses, problems with night driving and glare during the day, double vision and sudden changes in spectacle prescription. Eye examinations are usually done to check for cataracts and changes in glass prescription and surgery are the usual treatments. Turmeric is a common spice used in a majority of Indian dishes. It comes from an herb belonging to the ginger family. An important component of turmeric, which imparts a yellow colour to it is the compound curcumin. This compound possesses excellent therapeutic properties. 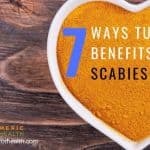 It can eradicate diseases from the human body as it has high antioxidant and bioactive compound levels. Considering its many benefits, scientists are now conducting extensive research in order to exploit it as a useful pharmaceutical. Some people have even proclaimed it to be the most effective nutritional supplement in existence. If the rate of build-up of free radicals exceeds the rate of their elimination a toxic condition known as oxidative stress takes place. This is one of the causative agents of cataracts. Some examples of free radicals forming compounds are minerals like selenite and calcium. 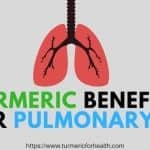 The antioxidant properties of turmeric are useful for treatment of such conditions as was shown by Padmaja’s animal model study. 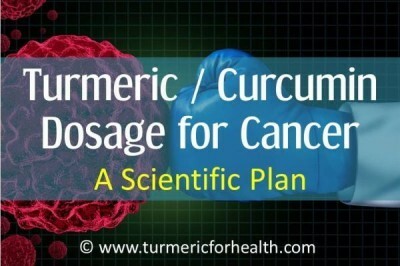 Curcumin present in turmeric supresses the levels of free radical promoting enzymes like xanthine oxidase while antioxidant enzymes like superoxidase dismutase and catalase activity is improved. 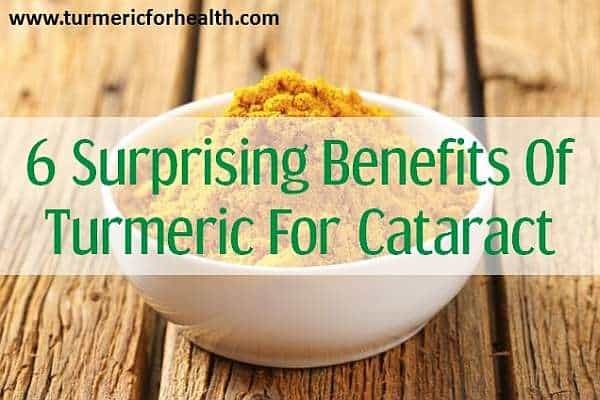 Another similar study showed how curcumin administration in a selenite induced model of the cataract could delay its onset and drive away free radicals. 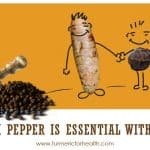 Curcumin has a radical scavenging activity whereby it seeks out toxic free radicals and eliminates them systematically. When analysis on how this phenomenon could be used in lenses being clouded by calcium was carried out, the results yielded were positive. 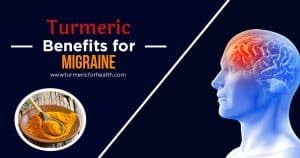 It can be implied from these experiments that curcumin could be potentially used in cataract treatment to eradicate harmful free radicals which are released by minerals like selenite and calcium. It reduces oxidative stress and improves cell viability. Opacification refers to the gradual clouding and loss of vision in the eyes due to the build-up of free radicals and toxins around the lens. One cause of lens opacifiaction is lipid peroxidation which is the process by which fats in cell membranes are degraded, resulting in cell damage. This process can be triggered by toxic elements. As per a study published in The American Journal of Clinical Nutrition, curcumin can provide active protection against such threats. Treatment with curcumin delays opacification of the lens as the it activates mediator enzymes in the lens surface cells. These enzymes degrade toxins like 4-hydroxy-2-nonenal (4-HNE) as substrates therefore exhausting them and in turn, protecting cells from damage. The results of this study indicate that curcumin is a useful preventive agent for cataract. It activates the essential enzymes required to maintain cellular health. Some common causative agents of cataracts are environmental toxins such as poly aromatic hydrocarbons and radiation. Prolonged exposure to such influencers may damage the lens over time and deteriorate our vision. However, it has been scientifically proven that curcumin administration, even in small quantities have lasting protective effects on our eyes. Curcumin showed potency as an antagonist to naphthalene (a simple polycyclic aromatic hydrocarbon) induced damage of the lenses. Curcumin also possesses radioprotective effects. Radiation often suppresses antioxidant enzyme levels leaving the eyes susceptible to free radical attack. Turmeric administration can reactivate the suppressed enzymes even in cases of exposure to harmful ionizing radiations, thus exerting a protective action on lenses. 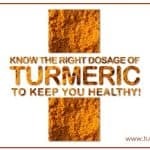 The use of turmeric provides a potential remedy for environment induced cataract. It reactivates suppressed enzymes and enables better activity and functioning of the eye. Turmeric and curcumin are known to act against several cataract causing factors. In order to see their effects on cataract, Manikandan R along with colleagues treated isolated lenses with curcumin and studied the levels of important markers of the disease. The parameters included enzyme, free radical and antioxidant levels. It was seen that oxidative damage was successfully inhibited. Antioxidant enzymes were also promoted in order to protect the lenses. 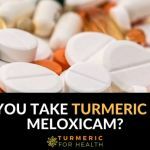 These findings were validated in a recent study which examined the concentration of degradation products formed when UV exposed lenses are subjected to the healing effects of curcumin. The compound protected the lenses from damage effectively. 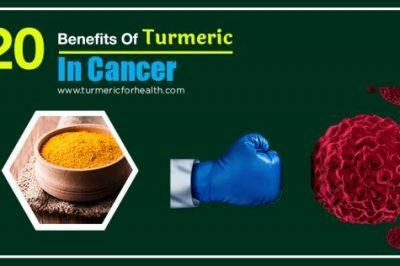 In addition, turmeric can also regulate genetic signals such as transcription factors and proteins and therefore do not allow disease related genes to be expressed. 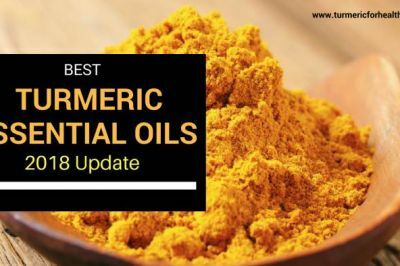 Turmeric suppresses disease related genetic signals and exerts antioxidant activity. Thereby, it protects the cells from damage and can be used in cataract treatment. Diabetic patients are a greater risk of developing cataracts earlier than most people due to elevated levels of sugars and insulin in their blood. 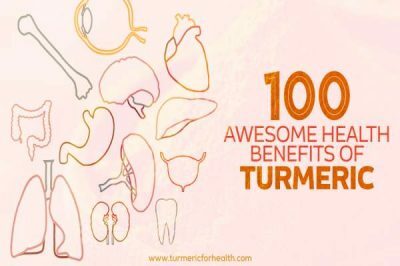 The ability of turmeric and curcumin to provide aid in such a diabetes induced model of the disease was studied using animal subjects. 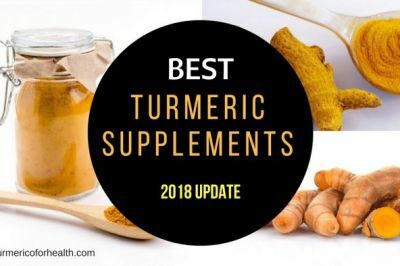 Through continuous monitoring of relevant biochemical pathways and the enzymes responsible for them, it was seen that both forms (turmeric and curcumin) displayed positive effects. They were capable of reversing the oxidative stress that had occurred over time in the lenses. 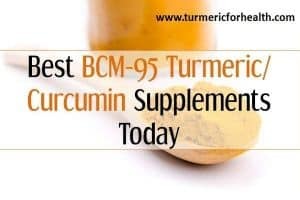 It is notable that turmeric showed better results than curcumin. A research paper from Molecular Vision 2003, highlights the activity of curcumin against galactose induced cataract where the antioxidant effects and protein aggregation preventing mechanisms of the compound are elaborated. Thus inferring that curcumin helps even cataract caused by high blood sugar levels. In diabetes, the eye lens slowly loses its chaperone like activity i.e. its ability to allow folding of proteins whereby buildup of cloudy particles occurs. Curcumin bolsters chaperone type behavior, thus preventing cataract formation. 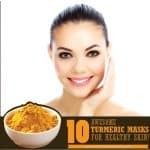 The antioxidant abilities of turmeric are helpful in diabetes induced cataract treatment as they limit the hyperglycemic and anti chaperone effects of the disease which eventually does not allow the loss of vision. A common complication faced by a patient’s post-surgical removal and replacement of lens is Posterior capsule opacification (PCO). It is a condition where thickening of the back of the lens capsule which holds the artificial lens takes place. If not addressed in time it could lead to amblyopia (impaired or dim vision). The main mode of preventing the onset of this condition is inhibition of proliferation of cells. Wang et.al proved the ability to curcumin to prevent such proliferation in an experimental study. Its effectiveness in humans was validated shortly after by Y.H. Hu where its anti-proliferative activity through modulation of complex cellular mechanisms was evaluated. Curcuminhas strong antiproliferative effects on cells effected by damage post cataract surgery. It acts as a protective agent and alleviates after- cataract i.e. Posterior capsule opacification (PCO) occurrence. 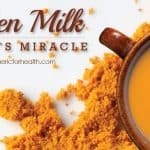 For healing cataract and post cataract surgery related complications, it is recommended to consume the herb in the form of Turmeric milk or turmeric tea. Start with small doses such as ¼-1/2 tsp a day for a week and if no gastric side effects are seen increase gradually by ¼-1/2 tsp every week. The recommend dose is 1-2 tsp 2-3 times a day (precisely 1 tsp 3 times a day). As antioxidants, curcumin and turmeric can prevent the onset of cataract and maintain eye health. Curcumin’s anti-proliferative effect can prevent diabetes associated with cataract and post cataract surgical complications. Including turmeric in the diet is a great way of boosting antioxidant defences against cataract formation. 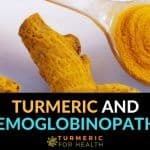 Further research is required to understand turmeric and curcumin’s role in cataract treatment and prevention. My young horse has cataracts how much tumeric does she require being 600kg? She loves it and will lick her bucket clean! Hi. 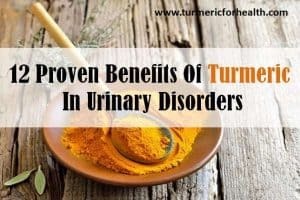 Always start with a small dose say 1-2 teaspoon daily but since you mentioned that your horse loves turmeric you can increase the dosage to 1-2 tablespoon a day. 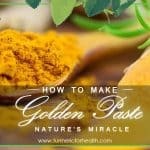 This article is very interesting and hopefully taking turmeric will reduce the cataract that is starting in one of my eyes. Hi. Thank you for the pointing out the error. Rectified. Wish I had known this a few years ago cateract before 60 followed by both lenses clouded after surgery. Removed by laser. I also have glaucoma 30 % loss in one eye. Any thoughts on slowing this would be helpful. Also have hereditary heamacromatosis. Excess iron which it seems may be responsible for the cateracts etc. Hi Julie. 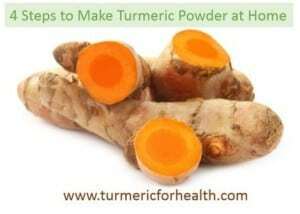 Curcumin in turmeric works as a metal chelator and thus may help in removal of excess iron in hemachromatosis. 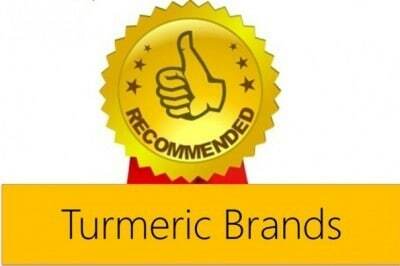 You may need to opt for curcumin supplements in addition to dietary turmeric. 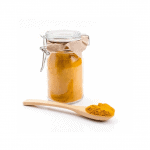 Please consult a health practitioner regarding curcumin supplements.